A Mississippi Republican introduced a measure Tuesday that would make it illegal for the federal government to help bankroll state gun registries. Filed as S.3135, the bill would help ensure that a myriad of federal grant programs made available to local and state agencies and governments wouldn’t be used to bolster efforts to store and track gun owner information. Currently, the U.S. Department of Justice funnels millions every year to local authorities through the National Criminal Histories Improvement Program, NICS Amendment Records Improvement program and the Edward Byrne Memorial Justice Assistance Grant program, much of it used to prop up local criminal databases. The bill has been endorsed by the National Rifle Association. 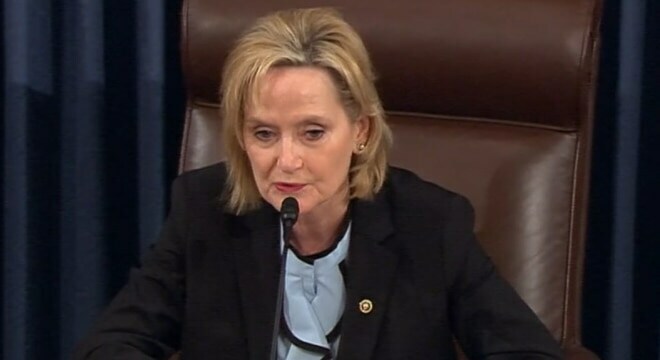 Appointed to temporarily fill the Senate seat vacated by Republican stalwart Thad Cochran, Hyde-Smith is locked in a special election race to convert her temporary position to a regular seat in November. As such, she has picked up a couple of important endorsements in the Magnolia State to include Gov. Phil Bryant and gridiron icon Brett Favre but is still courting one from President Trump. The GRIP Act has been referred to the Committee on Homeland Security and Governmental Affairs.